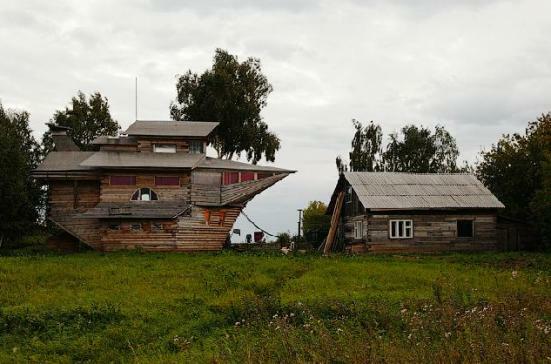 What looks rather like Noah’s Ark is actually a ship house in Borovoy, Russia. 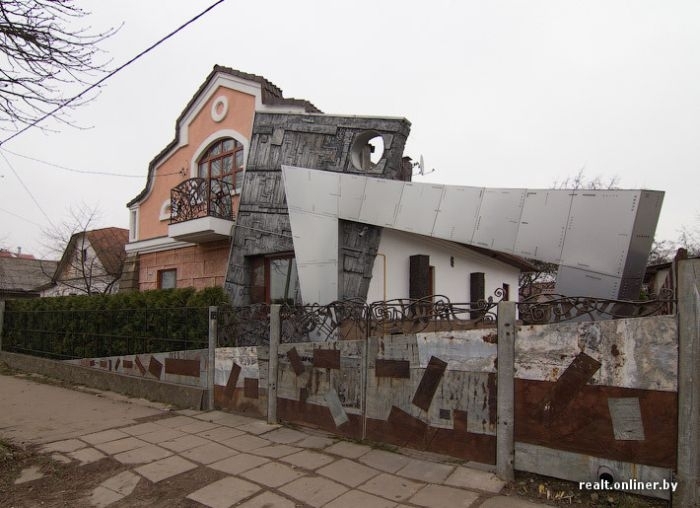 Owner and builder Nikolay claims the idea for this 29-foot-high, 45-foot-long house came to him in a dream. He started on July 7, 2007 and constructed the three-bedroom house without any architectural drawings. 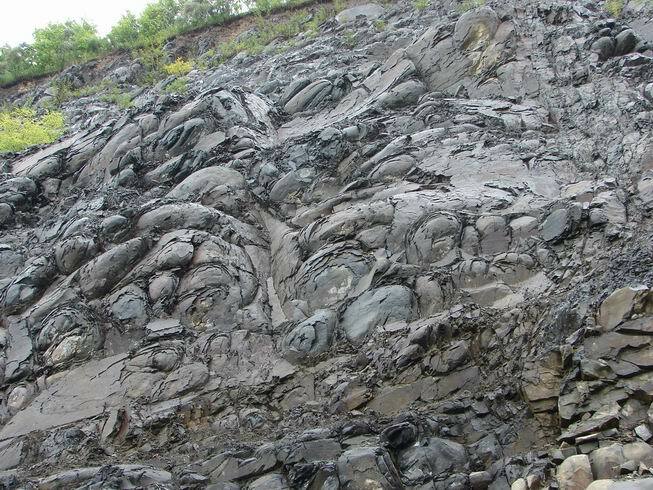 Since then, it has received much attention — and admiration. 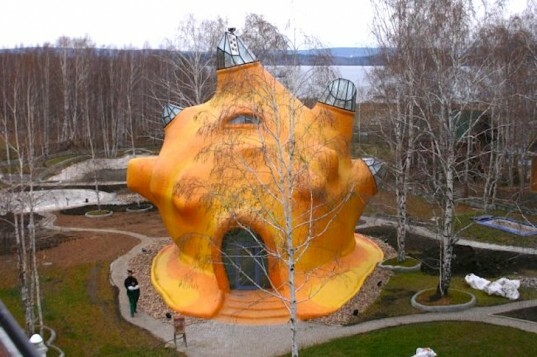 Located in the Tavatuy community in the Sverdlovsk region of Russia, this funky, 228 square meter home really does look like a wild sea creäture. Inside, the top level of the home, the main bedroom, represents the air above the sea. The giant stained glass window affords views across the nearby lake, while strategically placed skylights permit additional natural lighting. The second level, which is supposed to mimic the surface of the sea, is reached by a curvilinear staircase. A lot of the glass tile trimmings and furnishings were made by hand, but the most interesting part of the home is the basement level that represents the sea floor. The sofas are shaped like coral and sea anemones and there is a small office that looks like a grotto. Oh, and not surprisingly, the handmade bed features a water mattress! 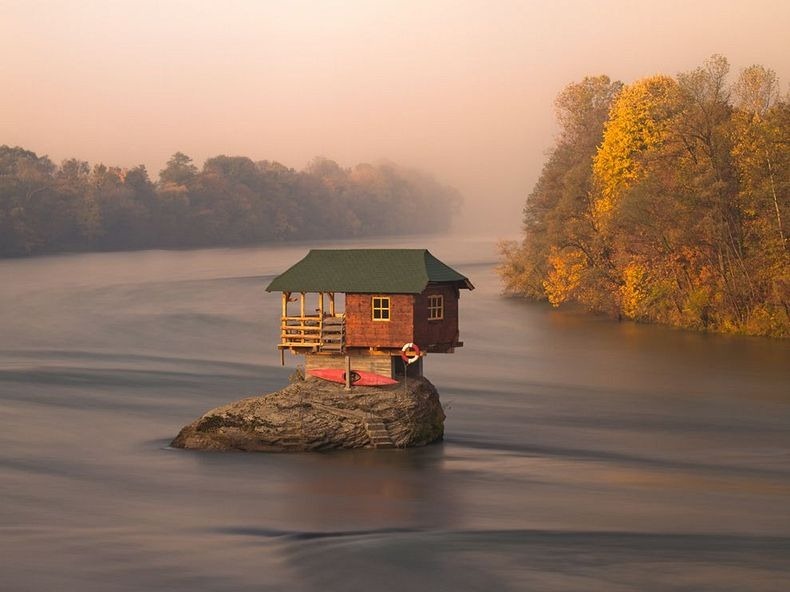 This house sits on a rock in Serbia’s river Drina. A group of young men decided that the rock was the ideal place to build a shelter in 1968. and it has withstood severe storms and flood for over 50 years. 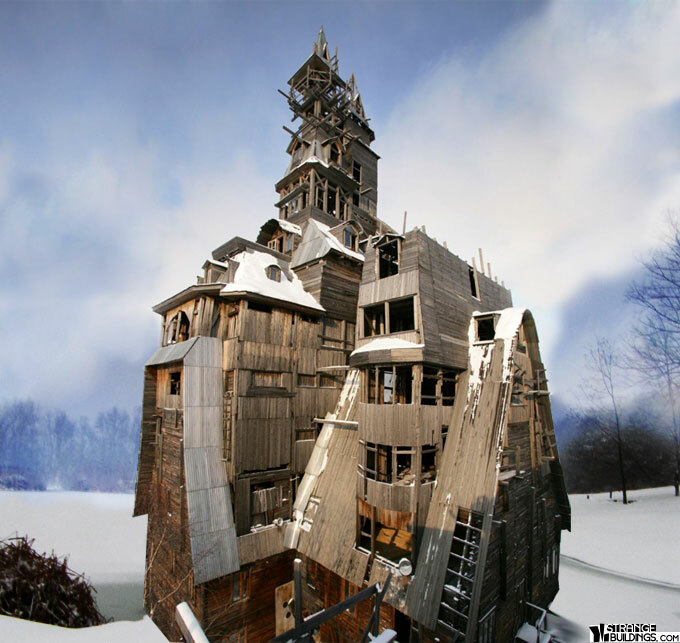 What is now considered to be the tallest log cabin in the world in not the work of some visionary architect or eccentric millionaire. 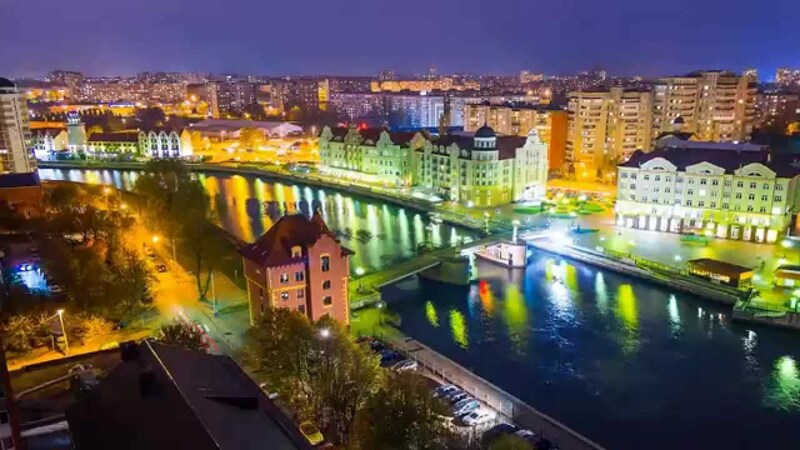 Nikolai Sutyagin is an ex-convict living with his family in the northern city of Arkhangelsk, Russia and who wanted something a little different from the typical socialist apartment building. Although it is hard to tell how much longer will this fragile and fantastic construction resist, one must admit that a 144 foot height is quite impressive for a wooden house. 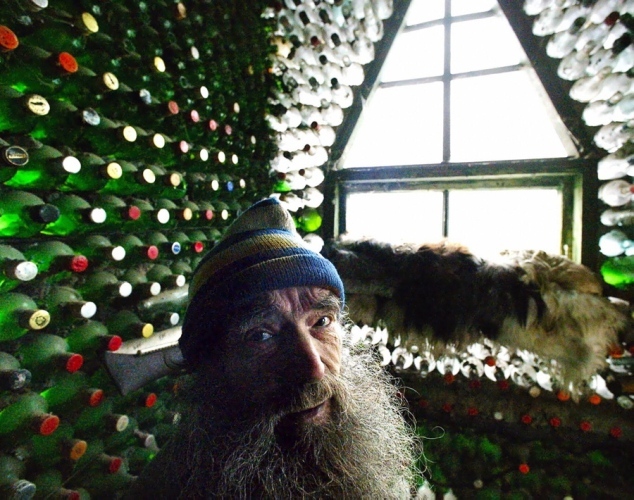 Vladimir Michkov sits inside his house, which he built from empty bottles. 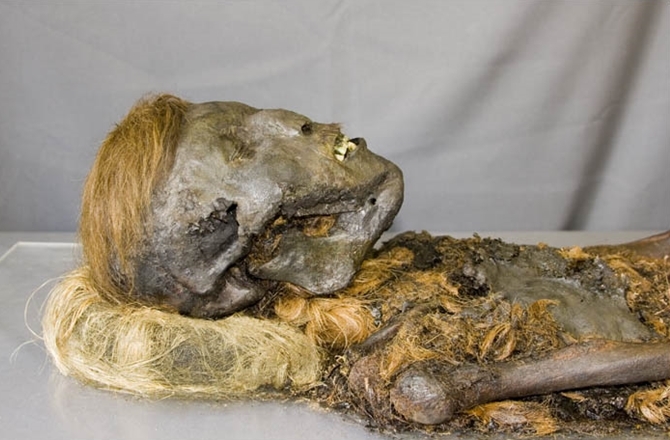 It took the Russian builder four years to complete his dwelling. 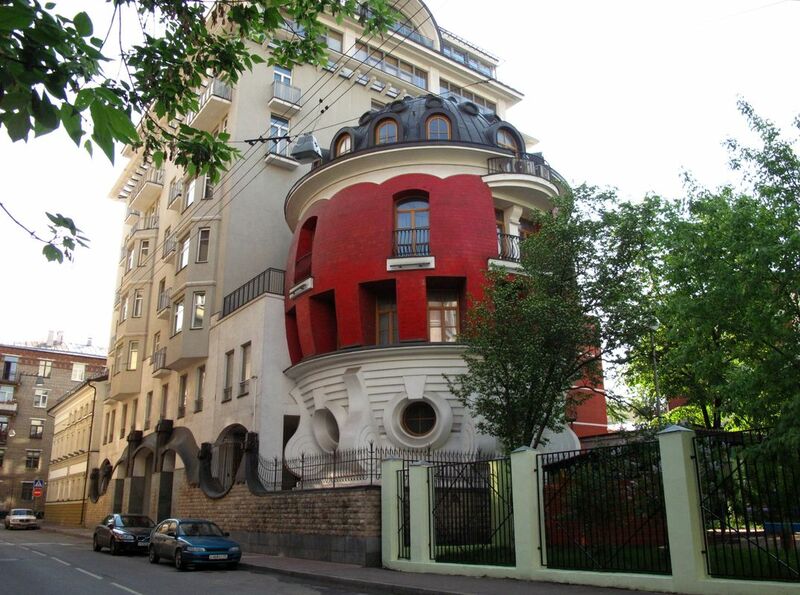 The egg-house at Mashkov street was constructed in 2002. 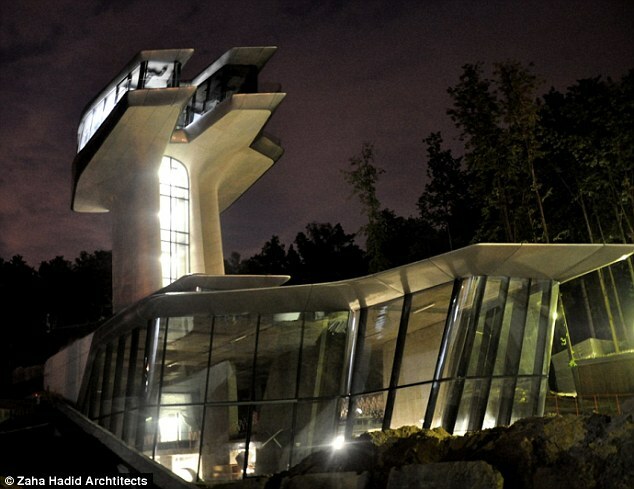 It is one family house, has 4 floors, 5 rooms and windows face 4 cardinals, the glass elevator moves from floor to floor. “The first owner bought it in 2002 for 1,2 million dollars and put it on sale in 2007 for 10 million. At a moment nobody bought it and nobody lives there. The architects started thinking to build egg-house rather long ago, when they were invited to build the house in Vifleem, Israel. But the project was not accepted then, but was realized at Mashkov street in Moscow, as the part of new apartment building. 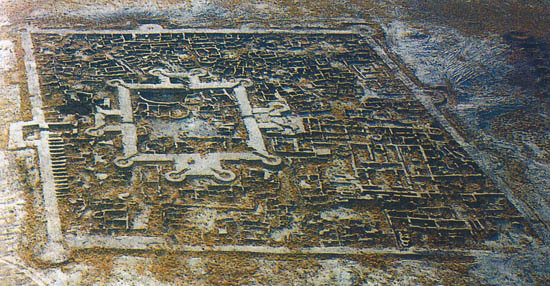 The exterior walls, decorated with ceramic tiles, are 640mm wide, the height of the rooms is 3,5m. The roof is made of copper. 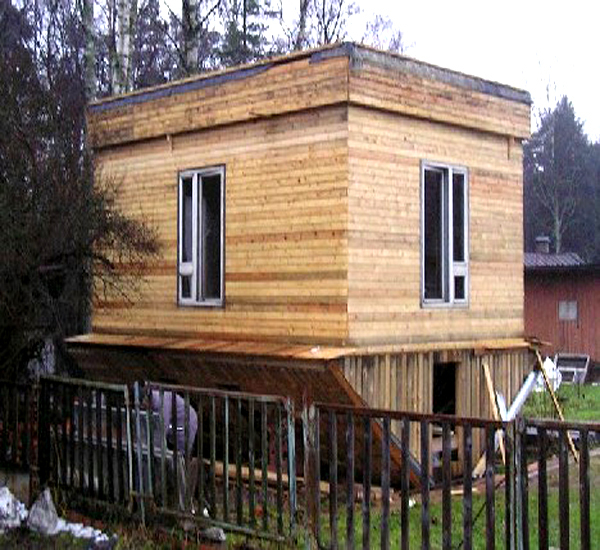 One family couple from Minsk, Belarus, had dreamed about a special place to live in. Their dream has come true. The total area of the house is 180 m2, it includes five rooms. 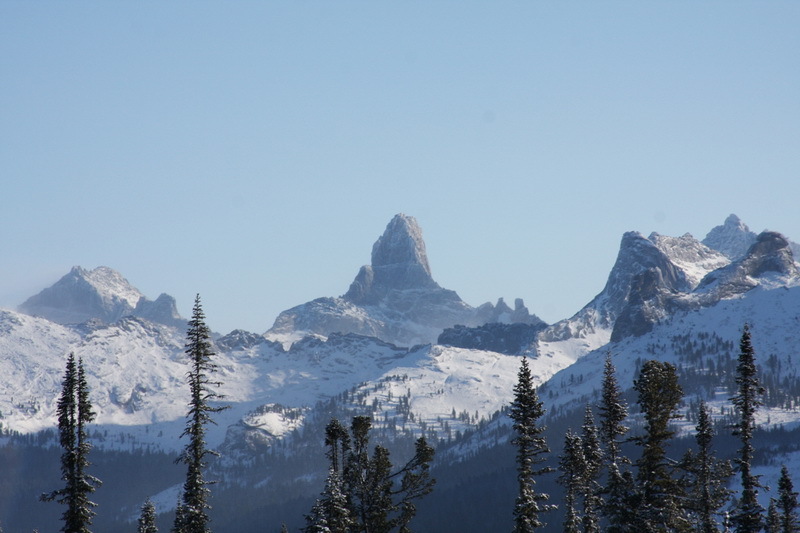 The project was fully realized by the owners. 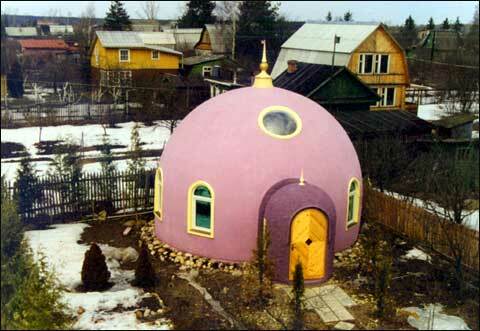 Monolithic Dome in Mocow — Sviet Raikov, a native Russian, built this Monolithic Dome home, 36′ × 18′, after learning the technology in a Monolithic Workshop. An American flag flies from the dome’s top. This one took some time. 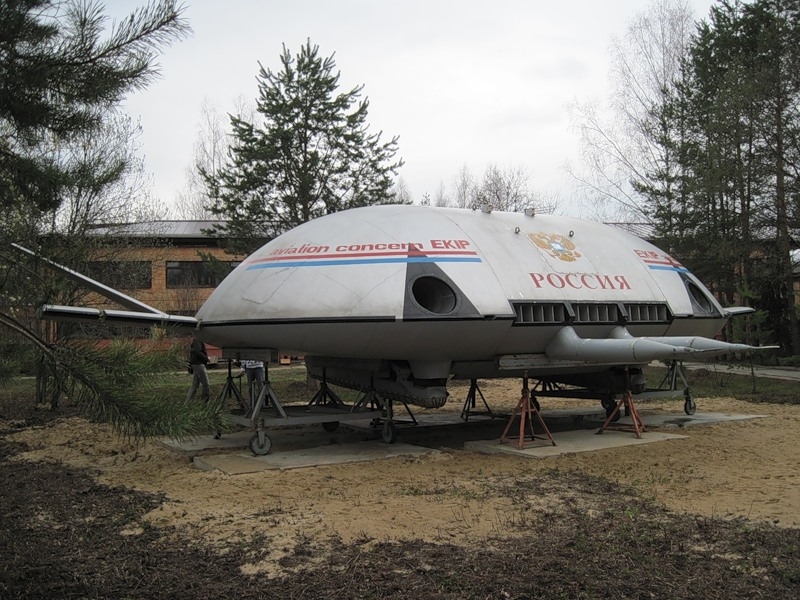 Finding unusual homes in Russia wasn’t easy. Great, I will try to do more interesting posts like this in the future. I LOVE this post!! So happy I stumbled across it.. or rather that you visited my blog so that.. I could visit yours 😉 Wish I would have seen this BEFORE I traveled around Siberia, Moscow, etc!! Oh the time it took to find all these gems, it’s a lot of work. Thanks for coming and exploring, hope you come back.